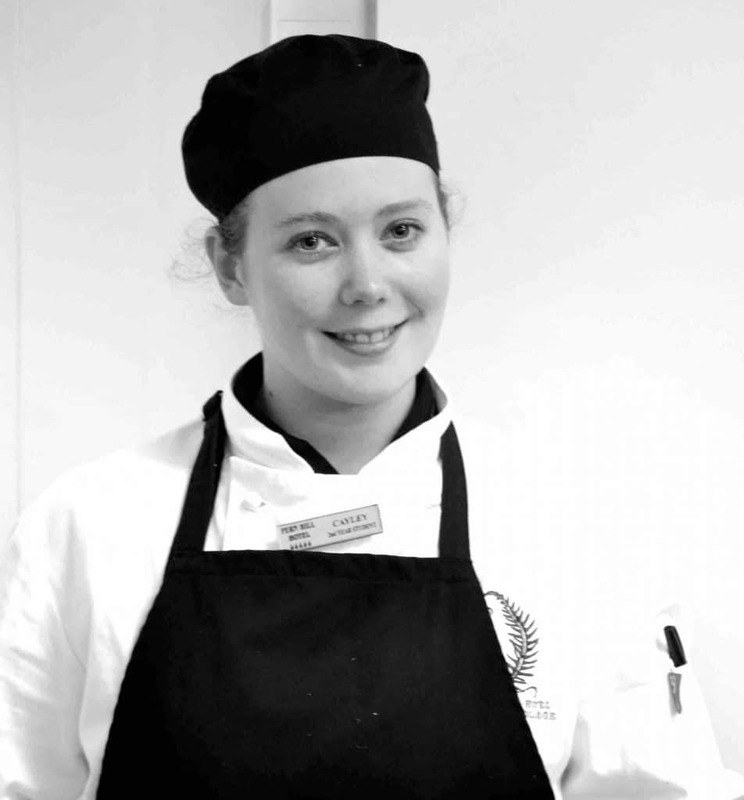 Cayley Lavagna-Slater is a second-year learner in our kitchen at Fern Hill Hotel. 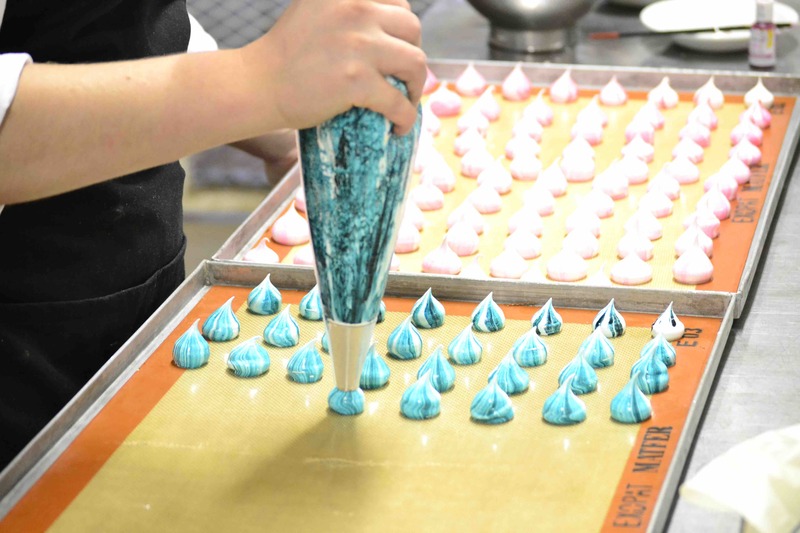 During this time, she has shown huge developments in her desserts and patisserie skills. Before studying with us, Cayley worked at Mugg & Bean for a year in Vanderbijlpark. 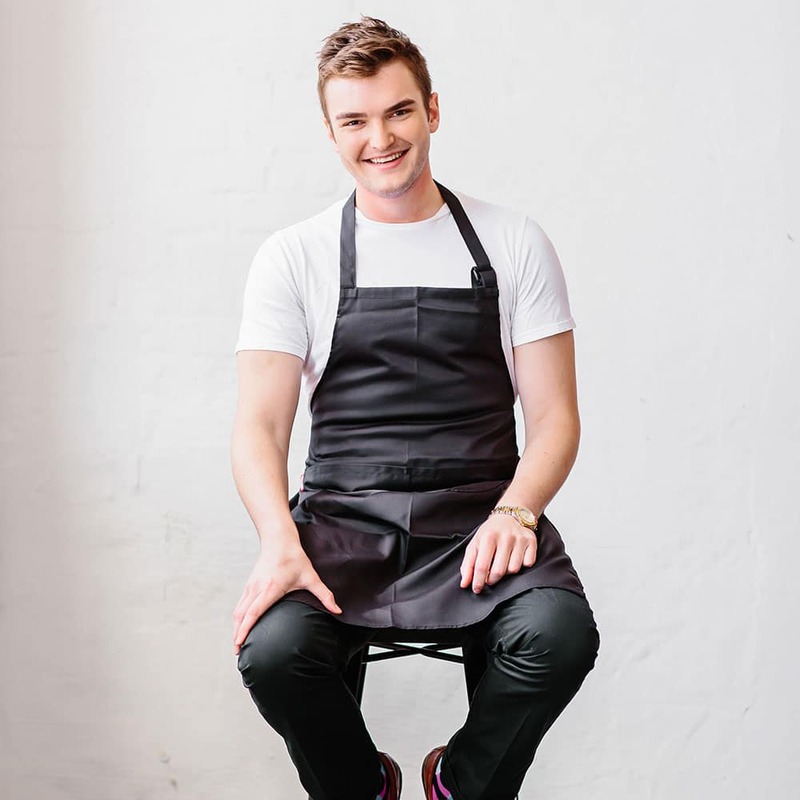 This is where she realised she had a passion for food and sweets and made the decision to take the next step and hone her skills in a professional training kitchen. 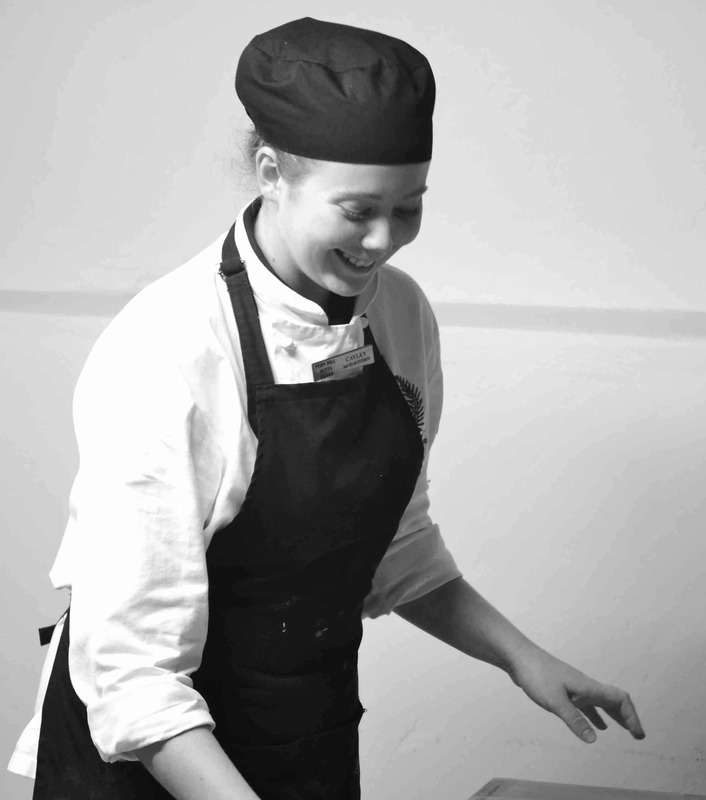 She has progressed in leaps and bounds since her inception at the school and I have become rather reliant on her input and ability within the kitchen! Her drive to create and develop various dessert items has wowed all of us. She has spent so much time beyond call and duty researching her interests and this has given her a real advantage with her studies, as well as her personal growth. 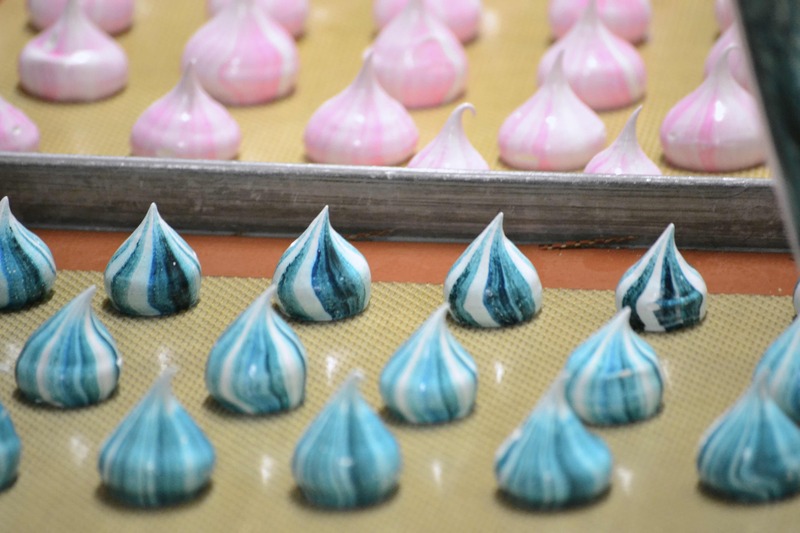 Her latest addition to brighten up our dessert buffets and birthday plates are these fantastic, colourful and flavoured meringues. This recipe was adapted by Cayley from one of our own and has shown to be a real crowd pleaser. Preheat the oven to 200oc. Place a sheet of parchment paper on a tray and pour the sugar onto it. Place the tray of sugar into the oven for 5 minutes. In the mean time, whisk the egg whites to stiff peak in a stand mixer. Add 1-2 tsps of your desired flavouring. Take the sugar out the oven and slowly add it to the stiff egg whites spoon-by-spoon until the sugar is finished. Leave to beat on high speed until the sugar has dissipated and the meringue is nice and stiff. 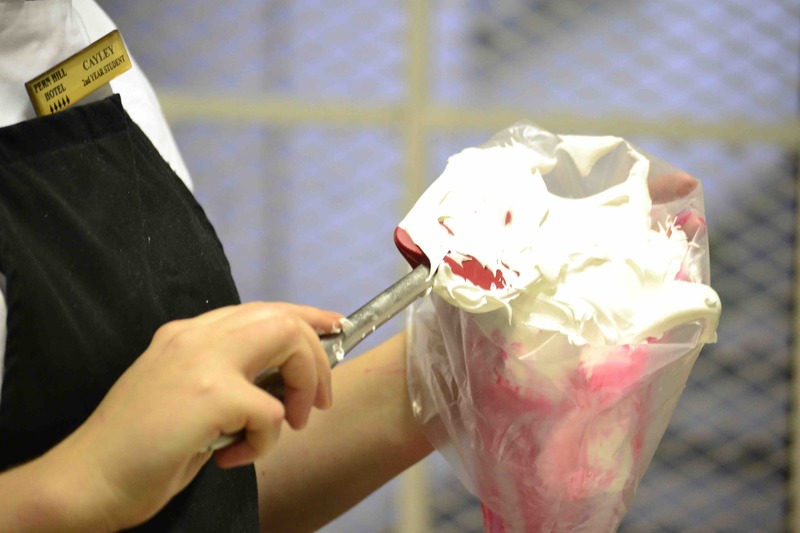 Turn a piping bag inside out and brush streaks of food colourant all the way from the nozzle to about half way up. Fill the bag with the meringue and pipe as desired. Bake for 30-40minutes at 100oc. Once cooled, serve or store in an airtight container.